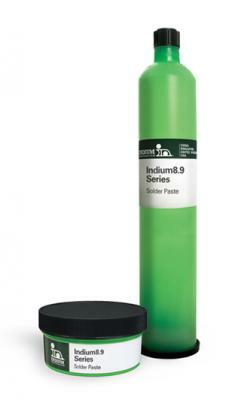 Indium Corporation will feature its Indium8.9 solder paste series, including Indium8.9HFA and Indium8.9HF-1, at IPC APEX February 19-21, 2013, in San Diego, California. These Pb-free and halogen-free solder pastes eliminate graping, head-in-pillow, and QFN voiding defects. The product is designed with a robust processing window that minimizes potential defects, as well as accommodates various board sizes and throughput requirements. Indium8.9 provides superior performance characteristics that increase customers' cost savings and finished goods reliability. Indium8.9HFA delivers unsurpassed print transfer efficiency to eliminate starved solder joints. It also has excellent response-to-pause, as well as less than five percent voiding over many different profiles when soldering BGAs with via-in-pad technology. Indium8.9HF-1 is an extremely thermally-stable solder paste. It is designed to maintain a soft, pliable residue after reflow resulting in easier probe-testability, and fewer false rejects and clogged probes during in-circuit testing. Also featured will be Indium Corporation's Solder Fortification® preforms. This product is designed to eliminate defects caused by low solder volume. Solder Fortification® preforms offer increased solder volume, improved drop-test results, fewer issues with flux residue, reduced rework, and improved fillet shape and volume. Solder Fortification® preforms eliminate costly or time-consuming processes, such as wave or selective solder. 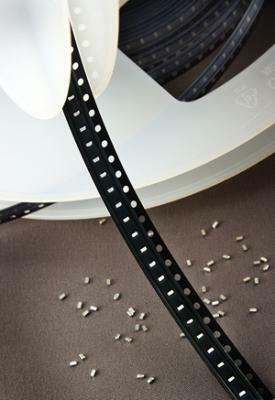 In addition, they are packaged in convenient tape & reel configurations to enable users to utilize existing pick & place equipment. Indium will be exhibiting at booth 1127. For more information on Indium8.9, visit www.indium.com/big; and for Solder Fortification preforms, visit www.indium.com/solderfortification/ or email abrown@indium.com.